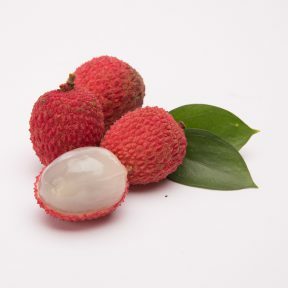 Lychee is walnut sized with a skin covered in spike like projections and jelly like in texture. Young Lychees are green and once mature they will become blushed with pink, then bright red. At maturity, the thin inedible leathered skin is covered in hues of rouge. The edible translucent white flesh bears a single central dark brown nut which doubles as the fruit’s seed. 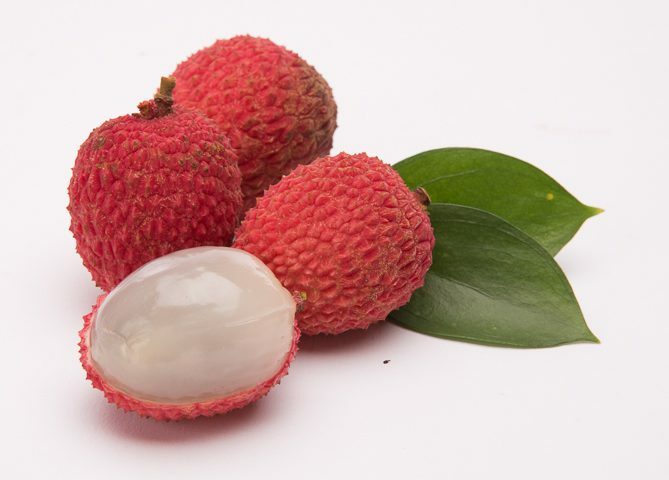 Lychees are juicy with a distinctive, slightly acidic fragrance and flavor, comparable to grapes. Handling: Store in the refrigerator for up to a few days. Varieties: Brewster, Mauritius, Emperor, Sweet heart, Haak Yip, Bengal, Amboina, Groff, Kwa Luk, No Mai Tsze, Tai Tsao.